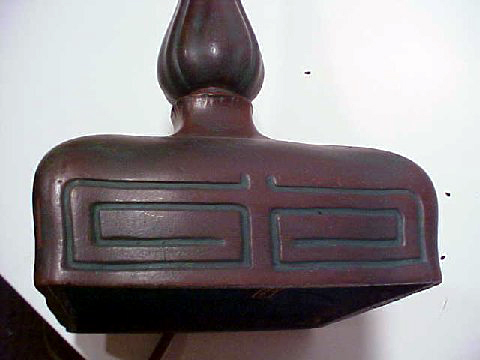 Here for your consideration is a rare and beautiful Handel lamp base known as the Greek key. 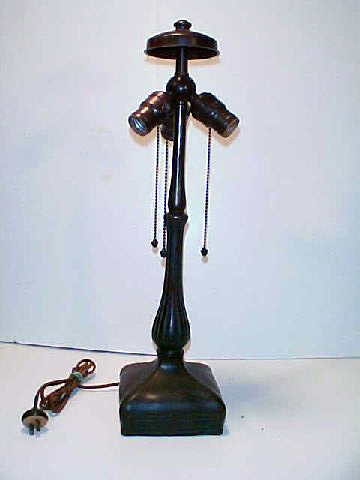 This lamp is properly signed twice, with the Handel stamp and the typical cloth Handel tag and has all its original hardware with 3 Hubbell sockets and acorn chain pulls. 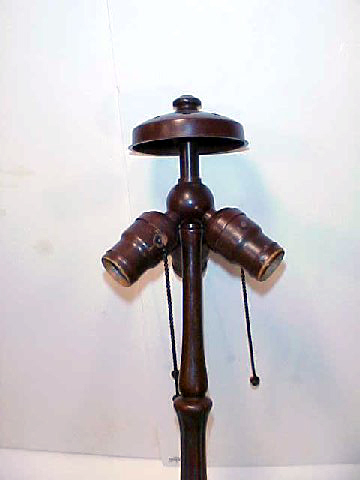 The patina is the dark brown with the reds showing through and a slight verdi gris. Measures 6" x 21".